As if the heart surgeon's job wasn't hard enough, twice they have found themselves in a position of digging out the pieces of a tool that broke during surgery. We can only imagine the frustration of the heart team when this sentinel event happened. 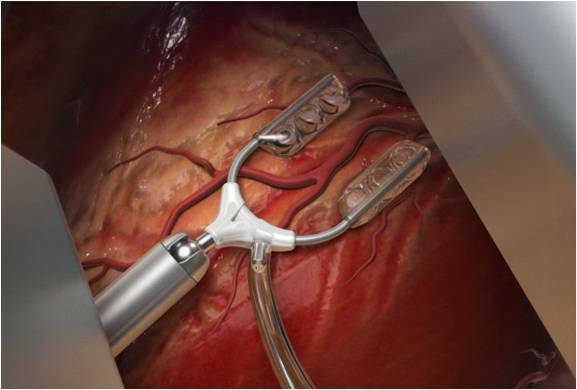 The tool is used for Off-Pump Coronary Artery Bypass Surgery. 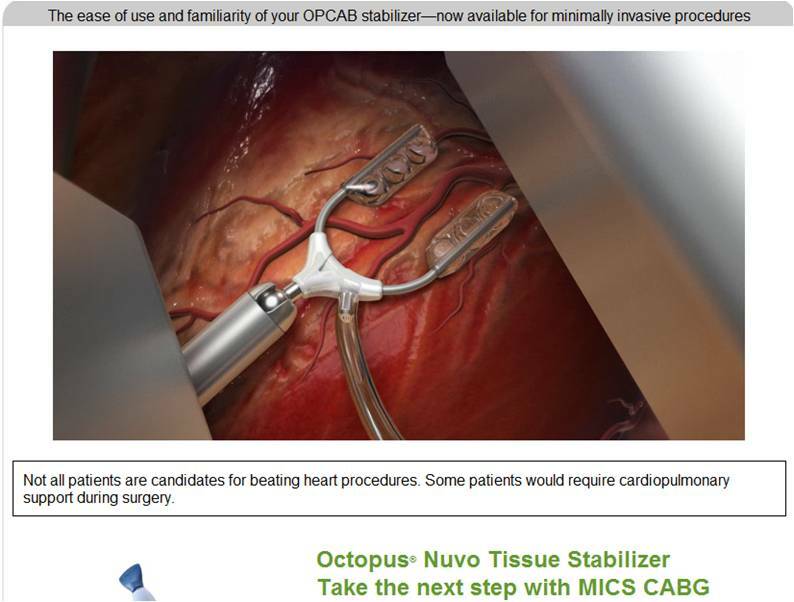 The specific tool is the Medtronic Octopus Nuvo Tissue Stabilizer (video). On Sept. 14, 2010, Medtronic proactively and voluntarily recalled the device from the market due to the potential that a component of the device could fracture during use. The resulting potential hazards are that fragments of the component could fall into the patient's chest cavity and/or damage the heart tissue. Medtronic has received two reports of device failure occurring during patient use, which required retrieval of device fragments from the surgical wound; neither event resulted in permanent impairment or death. The FDA has issued an immediate safety alert to discontinue use. FDA classifies a recall as Class I (highest risk) when the agency believes that there is a reasonable probability that use of the recalled product will cause serious adverse health consequences or death. Five‐hundred and seventy‐one devices have been distributed to health care facilities in the U.S., Europe and Canada. All affected health care facilities have been notified, and Medtronic is in the process of working with them to retrieve all remaining devices. Hopefully, all of the 571 devices were taken out of service on/soon after the September 14th voluntary recall by Medtronic and no other patients were at risk from this equipment failure. After watching the promotional video I am curious to learn what part of the device broke off into the patient's chest. Anyone know?